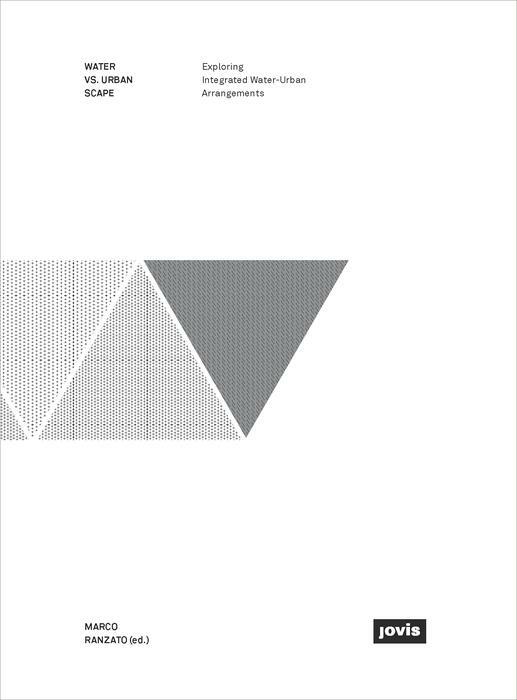 This book is mainly a collection of design experiences around the current urbanisation and the arrangement of its waters. The idea came about in the frame of the workshop "Water vs. Urban Scape? Exploring integrated and decentralised arrangements of water in the Brussels Capital Region held in Brussels" in July 2013. Organised by the Faculty of Architecture La Cambre Horta of the Université libre de Bruxelles in collaboration with the College of Architecture and Urban Planning of the Tongij University, this intensive pedagogical and design experience was tutored by Latitude Platform for Urban Research and Design. Soon after, it appeared important to further develop the ‘raw materials’ worked out in the workshop and to frame them in a broader reflection regarding the role of design in the matter. 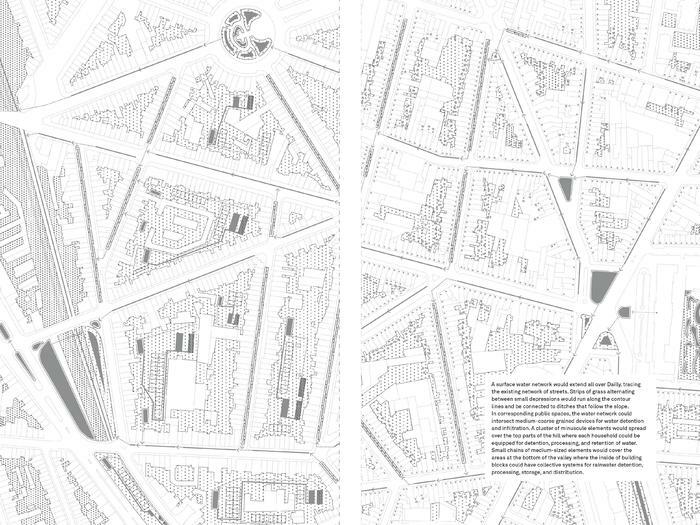 The scope of the reflection expanded in a stroll round the challenges and lines of work concerning Brussels as well as those of other emblematic urban conditions resulting from the varied urbanisation processes presently changing the planetary landscape. 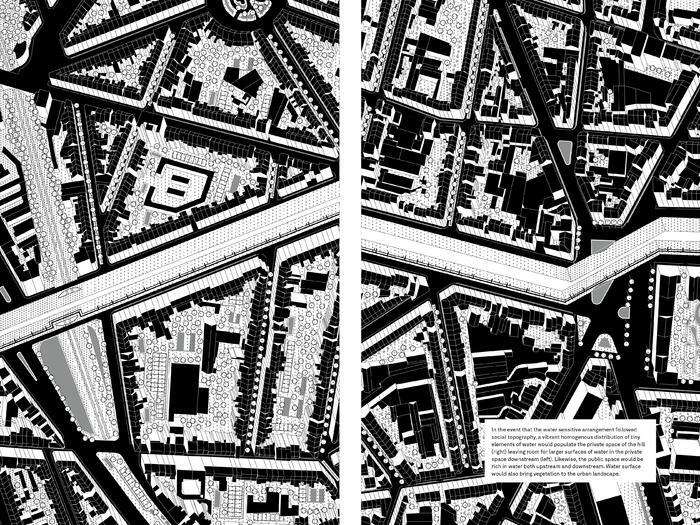 In thus proceeding, the book attempts to trace a line with Hydropolis: the role of water in urban planning, a key international UNESCO-IHP workshop on the subject from 1993. 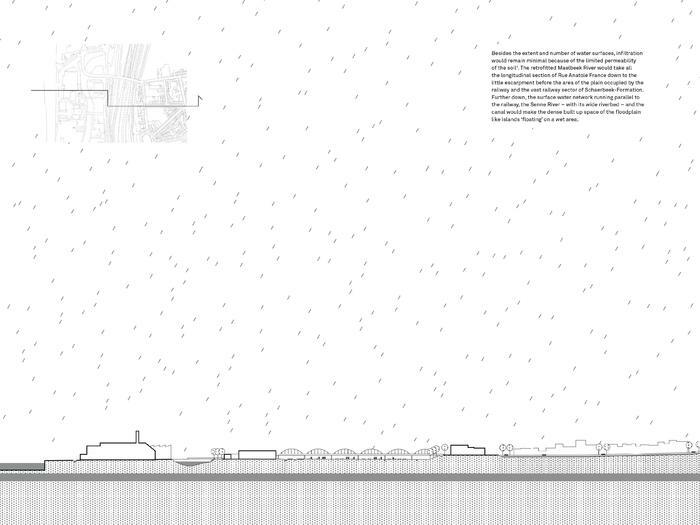 Already at that time, in the urban design discourse, the concept of Integrated Water Management was gaining momentum. Diverse researchers were launched to explore design tools and processes integrating the water issue. "Urban river floods, inundations, water shortage, dirty water, water pollution, or drowning are nothing new for our urban environments. 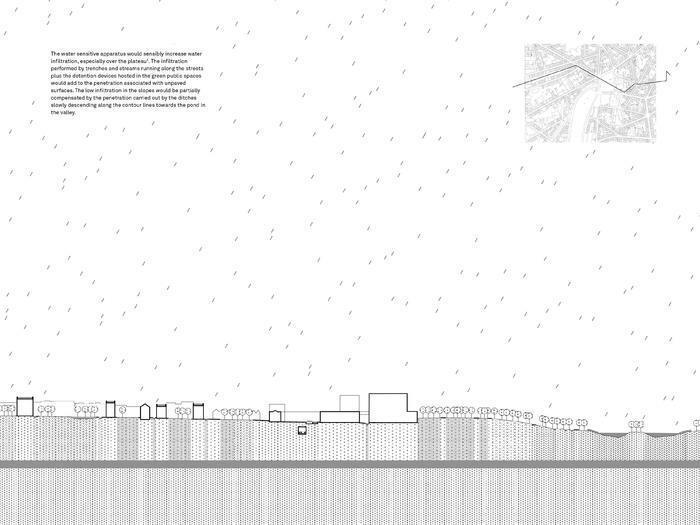 But is there any other paradigm to follow but going along with the assumption water vs. urban? 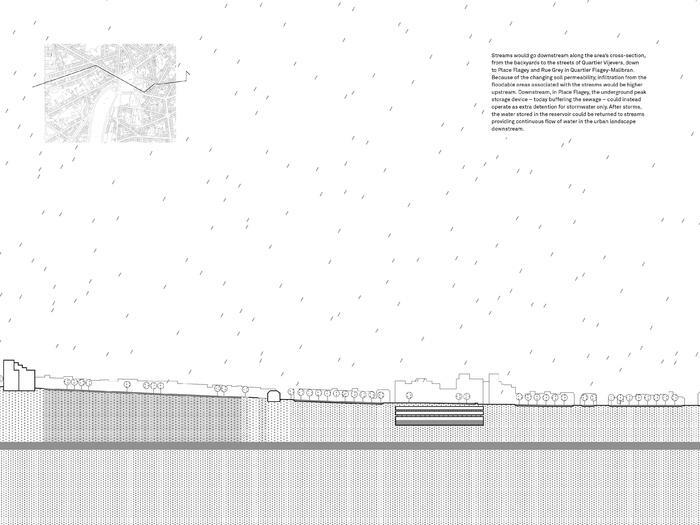 How can the challenge be met to give more room for water while enhancing the spatial quality of our urban landscapes? 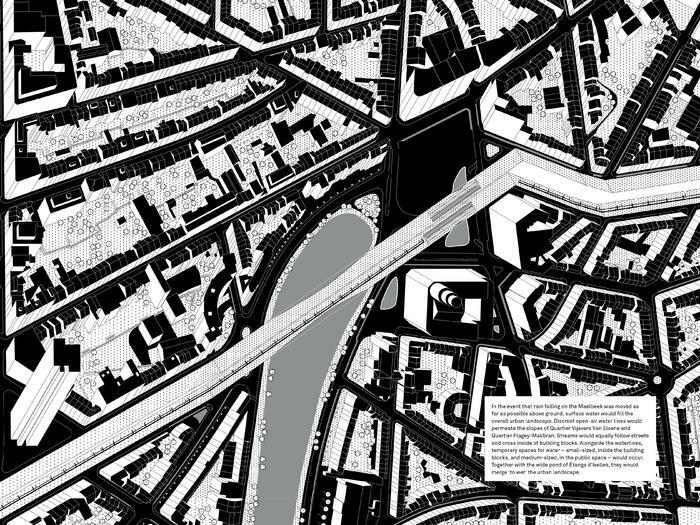 As early as the nineties, the concept of Integrated Water Management has gained momentum in urban design research and practice. Water vs. Urban Scape presents promising new approaches to integrate water in the urban landscape through design-based experiences drawn up for a range of specific socio-spatial urban landscapes across the world such as the diffuse urbanisation in the Northeast of Italy and in Flanders, the booming cities of Shanghai and Istanbul or the expanding Oslo, the informal urbanisation of Kigali and the suburbanisation of Perth. 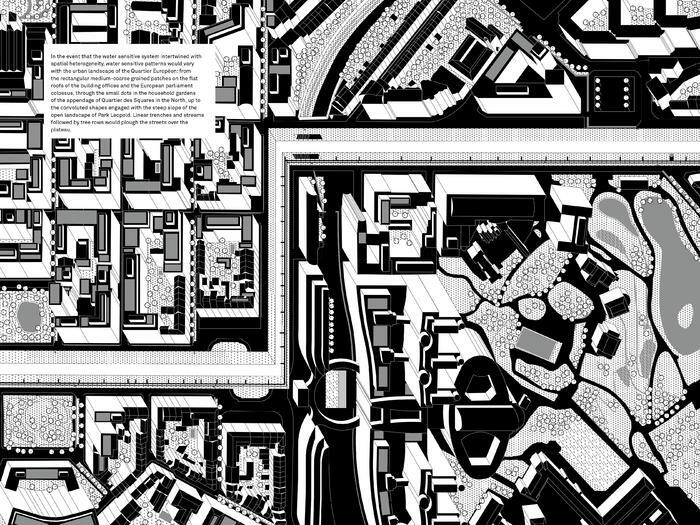 In a second part, four visual essays display possible scenarios of integrated water-urban arrangement in the Brussels Capital Region. With this, Water vs. Urban Scape provides plenty of inspiration for tackling one of the major issues of Urban Design in the urban age." 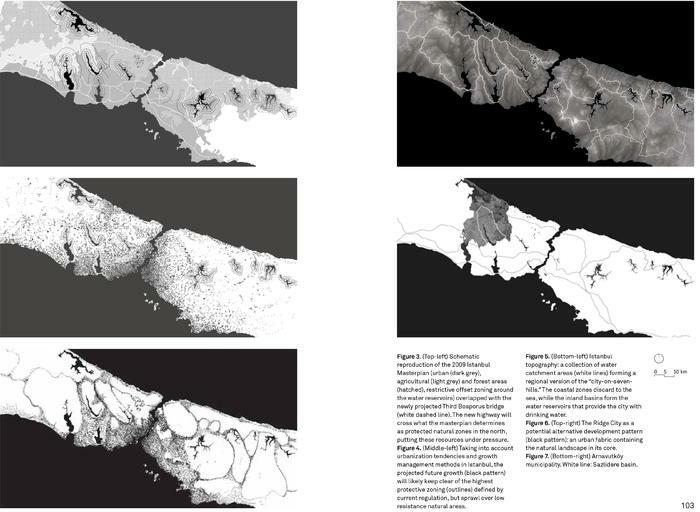 • Towards New Urban "Hydrographies"
Marco Ranzato (editor), is a researcher at the Faculty of Architecture La Cambre Horta of the Université Libre de Bruxelles and co-director of Latitude Platform for Urban Research and Design. His research focuses on expanded understanding of ecological design, processes of horizontal urbanization, as well as on coproduction, focusing in particular on co-production of water, energy, and waste services and co-design. Contributors: Olivia Adamska; Andrea Aragone; Ilaria Boniburini; Andrea Bortolotti; Pauline Cabrit; Simone Conz; Siyu Liu; Marta De Marchi; Bruno De Meulder; Catalina Codruta Dobre; Bianca Fanta; Martina Gentili; Roberto Genna; David Hedgecock; Sotiria Kornaropoulou; Géry Leloutre; Alessandra Marcon; Luisa Moretto; Mike Mouritz; Christian Nolf; Marie Pire; Dirk Sijmons; Maëlle Thueux; Sun Tongyu; Sybrand Tjallingii; Jaap van der Salm; Xiaoyu Wu; Yixin Xu; Zhao Yang; Giambattista Zaccariotto.